Mid-century Modern: What Is It and Why Do We Love It? 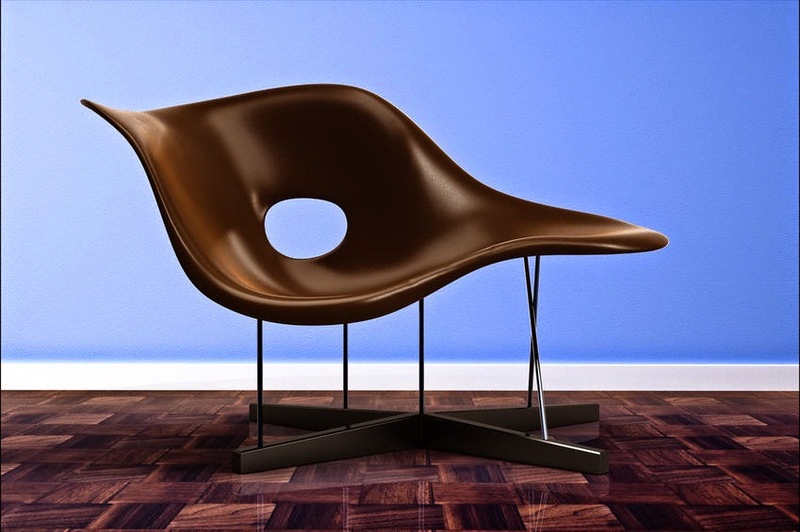 Eames Chair, Classic Design By now everyone has heard the phrase, mid-century modern applied to furniture, accessories, clothes, houses, and almost every trinket you can think of but what exactly is it? Mid-Century Modern, What is it and Do We Love It? 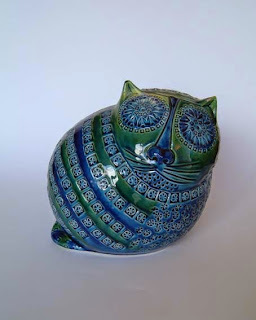 The Ultimate Mid-century Pottery, a Bitossi Cat from Italy By now everyone has heard the phrase, mid-century modern applied to furniture, accessories, clothes, houses, and almost every trinket you can think of but what exactly is it? The design aesthetic of the middle of the 20th century, which has been dubbed Mid Century Modern, or MCM, is generally thought to have begun in America with Frank Lloyd Wright’s designs and work in what he called “organic architecture”.Organic architecture seemed to grow naturally out of the Arts and Crafts movement which stripped down the ponderous and over-decorated Victorian work that preceded it and simply took it to the next level of design. At Finders Keepers Antique Mall today, I took a stroll to count the chickens. These ones won’t hatch anytime soon, I’m talking collectible glass chickens of every shape and size. Suddenly, there seem to be cool chickens in every corner. That made me curious enough to do some research. Collectors are strange beasts, we not only love what we collect we want to know about it. I started researching glass chickens, aka hens on nests and the facts behind these pretty things are amazing. They are very collectible and the prices for even lovely examples are still low enough to let beginners find great examples in every size and color. No one is sure where the great chicken craze started, Europe or America, but the precursors to our glass chickens were ceramic and porcelain pieces from Germany, France, England and elsewhere overseas. American’s introduced affordable pressed glass during the Victorian era running the porcelain pieces out of town cost wise.